Ancient Egypt of the Ptolemies had been conquered by the Roman empire and remained a Roman province for approximately six and-a-half centuries. In the seventh century AD the weakening Eastern Roman empire, which had inherited the province, lost control to the Islamic empire when the latter's fervently enthusiastic forces swept through in 639-640, taking Libya at the same time. For the next century the region was governed directly by the Umayyad caliphate to the east, restoring a situation that had existed periodically between the rise of the Assyrian empire until the division of Alexander the Great's Greek empire. Gradually, most Egyptians converted from Christianity to Islam and learned to speak Arabic (the remaining Christians becoming known as Copts), and a new capital was established in the north (modern Cairo). Amr Ibn Al-Aas was a military commander who led the Islamic conquest of Eastern Roman Egypt. He was also a contemporary of Muhammad himself, and a member of the 'sahaba', the Companions, accepting conversion in the eighth year of the new Islamic calender. 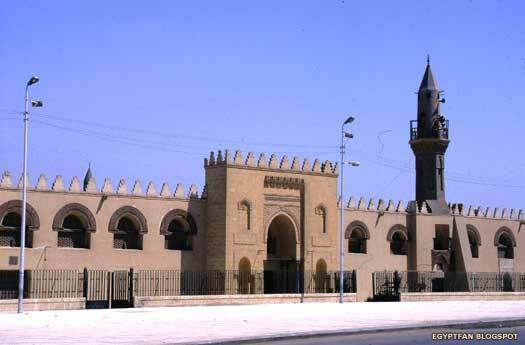 Once Egypt was secured, Amr Ibn Al-Aas founded a new capital at Al-Fustat, building the Amr ibn al-As Mosque at its centre. Subsequent governors under the Rashidun caliphate and its successor, the Umayyad caliphate, had a fairly hard time in Egypt, with a variety of reasons seeing them either removed from office, killed, deserting, or dying. 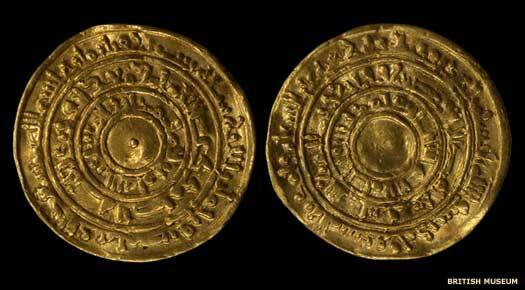 The Rashidun-era governors were termed amirs, which translates as general or prince but which usually meant governor. Their later Umayyad successors, from 659, were walis. Former emir of Syria. Secluded by Rashidun Caliph. The invasion of Egypt begins in the later months of 640. A victory at the Battle of Heliopolis delivers much of the country to the Arabs, but the Babylon Fortress (in the region of modern-day Coptic Cairo) has to be besieged for several months before it surrenders. The Eastern Roman capital at Alexandria, capital of Egypt for a thousand years, surrenders a few months later and a peace treaty is signed in late 641 in the ruins of a palace in Memphis. Egypt is briefly re-conquered by Eastern Roman forces, but their victory is short-lived. They are defeated at the Battle of Nikiou and Egypt is secured by the Arabs for good. Foster brother of Uthman. Deposed by his replacement. The First Islamic Civil War is triggered when Ali ibn Abi Talib becomes the Rashidun caliph. The Sunni/Shia split in Islam is created by his rule, with Sunni Muslims counting Abu Bakr as the first legitimate caliph, while the Shi'a count Ali as the first truly legitimate caliph. For two decades around these years the civil war rages in Arabia, and Ali is assassinated in 661. The first stages of the civil war see Rashidun Caliph Uthman ibm Affan replaced by Ali ibn Abi Talib. Soon afterwards, Uthman's foster brother in Egypt, Abdullah Ibn Sa'ad, is also deposed. In office for one year before he was killed. In office for six months but secluded. Son of Rashidun Caliph Abu Bakr. In office for 5 months. Killed. Muhammad ibn Abi Bakr, the adopted son of Rashidun Caliph Ali ibn Abi Talib, had been appointed governor of Egypt. However, Muawiyah I, governor of Syria (and soon to be the first Umayyad caliph), sends his general, Amr ibn al-As and six thousand troops to take control. Ibn Abi Bakr is easily defeated, and is captured and killed. Hasan, son of Ali ibn Abi Talib, is regarded as a righteous Rashidun caliph by Sunni Muslims, is recognised by only half the Islamic empire. He is challenged and ultimately defeated by Mu'awiya, the Umayyad governor of Syria. Mu'awiya ensures he has a loyal governor in Egypt, which remains under firm Islamic control. The Arabic language is made the official language of the government of Egypt, beginning the long formation of Egyptian Arabic that is still the country's national language today. However, it takes until the seventeenth century before the existing Coptic language is replaced as the national language. Became wali of Ifriqiyya and the Maghreb (720-728). Despite being a successful governor, Handhala ibn Safwan al-Kalbi is replaced when the new Umayyad caliph, Hisham, succeeds in Damascus. The caliph sends his own brother to govern Egypt, but the new governor swiftly proves to be a disappointment, beginning a run of poor governors. Brother of Umayyad Caliph Hisham. Left post during epidemic. The resentment of the Copts (the unconverted Christian population of Egypt) against rising taxation triggers a revolt. Two years later, in order to strengthen Arab representation, a colony of 3,000 Arabs is set up near Bilbeis. Abd al-Rahman ibn Khalid al-Fahmi is the latest in a string of bad governors. The Umayyad caliph, Hisham, removes him and finally decides to reinstate Handhala ibn Safwan al-Kalbi to the post. Second term. Became wali of Ifriqiyya and the Maghreb (742-745). Requested that he be replaced. Removed from office by the Abbasids. The Abbasids under Abu Muslim begin an open revolt in the Islamic emirate of Khorasan against Umayyad rule. Khorasan quickly falls and an army is sent westwards. Kufa falls in 749 and in November the same year Abu al-Abbas is recognised as caliph. The Umayyads are overthrown and massacred in the revolution, with the survivors fleeing to Spain where they rule independently. Caliph Marwan flees to Egypt, where he is captured and killed. This signals the end of the Arab empire, but loyal Abbasid governors are installed in Egypt. The Abbasid usurpation of the caliphate saw the Umayyads deposed except in Spain. The general, Saleh ibn Ali, pursued the fleeing Caliph Marwan II to Egypt, where the latter was captured and killed. The general also captured Fustat for the Abbasids in 750 and he handed control of Egypt and Libya to the second governor soon afterwards. A new headquarters was established at the northern edge of the capital, el Askar ('the soldiers'), but this quickly merged with the expanding city itself. Details on the governors other than their names seems to be vary sparse. Abbasid general who conquered Fustat from the Umayyads. As his reward for the successful conquest of Damascus and Fustat, and for disposing of the last of the Umayyad caliphs, Saleh ibn Ali ibn Abdullah is made wali of Palestine. Second Abbasid governor of Egypt. Fled an epidemic. Returned as governor from Palestine & Syria. Removed. 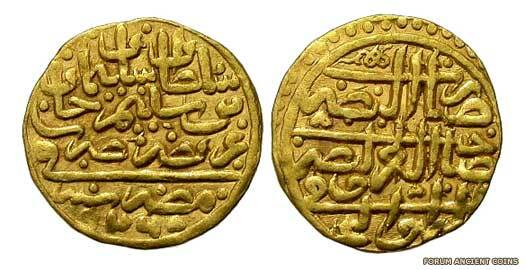 Saleh ibn Ali ibn Abdullah is the uncle of Abbasid Caliph Abdullah as Saffah, but the caliph dies in 754. Saleh's brother, Abdallah, launches a revolt in Syria against the new caliph, claiming that he himself is the rightful successor. Saleh refuses to join his brother's revolt. Instead he enters Syria to help suppress it, defeating Abdallah's governor of Palestine, al-Hakam ibn Da'ban. Abdallah is also defeated and is forced to submit to the new caliph. Son of Saleh ibn Ali (753-755). Removed from office. Al-Fadl ibn Saleh ibn Ali al-Abbassi is sent to quell a rebellion in Egypt. He is related to the Abbasid caliphs and has previously served as wali of Damascus (766-775), adding Aleppo to that in 769, and then of al-Jazira (775-780). After defeating the rebels at al-Fustat, he is appointed governor by Musa al Hadi, son of the caliph. Former wali of Damascus, Aleppo, & al-Jazira. Removed. Musa al Hadi succeeds his father as the Abbasid caliph and relieves Al-Fadl ibn Saleh ibn Ali al-Abbassi of his position as governor. Removed from office by his replacement. Second term of office. Removed from office. Son of Saleh (750). Former wali of Damascus. In office for 10 months. In office for less than a year. This period is marked by instability within Egypt, promoted by conflict between various interests within the Islamic empire. That instability continues throughout the century. In office for 6 months until his troops revolted against him. In office for 5 months until his troops revolted against him. Brother. Removed from office by his successor. Rebelled. Removed by the rebellion of his predecessor? Abdullah ibn Tahir ibn al-Hussein is sent to Egypt, where he successfully ends an uprising led by Obeid Allah ibn al-Serri, the fallen former wali. After a brief tenure in office in Egypt, he gains the governorship of Khurasan following the death of his brother. On the way, in 829, he stops the Khurramite Babak, and is then ordered to Khurasan by the Abbasid caliph to put down the Kharijites, finally arriving in 830. Former wali of Syria. Removed. Became Tahirid emir of Khorasan. Some records show the position of governor remaining vacant for two years as the post and its responsibilities becomes unworkable. It seems that Eissan ibn Yazid al-Gloudi is officially governor, but may not be able to take or fully hold onto that office. The Turkic general, Afshin, puts down a joint Arabic-Coptic rebellion, and the Arabic families lose power for good. Suddenly Egypt and its governors are able to experience a semblance of stability. Removed from office by his successor. Son of Abbasid Caliph Abdullah al Ma'mun. Ali ibn Yahia al-Armani, 'the Armenian', is given command of the caliphate's border in Cilicia, facing the Byzantine empire. He is the first emir of Tarsus known to exercise near-independent authority, as the Abbasid caliphate declines in authority. He briefly returns to office in Egypt in 849. Second term of office. Removed from office again. Non-Abbasid governor. Removed from office. The first Turkish governor in Egypt, Yazid ibn Abdullah al-Tourki, had been appointed as part of the succession arrangements of Abbasid Caliph Ja'far al Mutawakkil. He survives in office despite there being three successive caliphs during the period, but Egypt is becoming more and more unstable. A rebellion is triggered around Alexandria by Jabir ibn al-Walid, and he enjoys broad local support. The rebellion spreads across the Nile delta region and the Turkish garrison at Fustat is defeated. Yazid is removed from office in 867. Non-Abbasid governor. Died in office. Non-Abbasid governor. Unseated by his Tulunid replacement. The Saffarid emirs oust the Tahirids in Khorasan in 867, while Venice defeats the empire at Taranto. Suddenly the Islamic empire is looking a little shaky and, to cap its problems, in the following year the Tulunids secure the independent control of Egypt. During a period of uncertainty within the Islamic empire, the newly-assigned Tulunid governor of Egypt assumed independent control of the country. 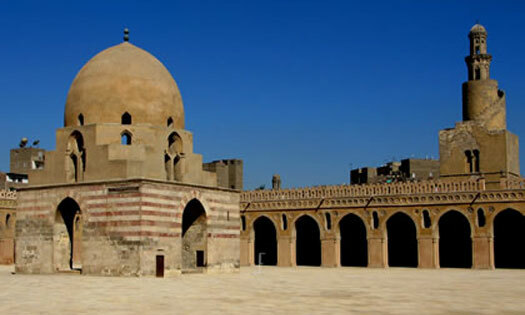 Ahmad ibn-Tuluh, who was the first fully independent ruler of Egypt in over eight hundred years, built one of the oldest monuments in Cairo: the ibn Tulun Mosque. Despite their independence, the Tulunids never openly proclaimed their removal of Egypt from the caliphate. Eventually, the dynasty fell victim to the brief revival of Abbasid power at the beginning of the tenth century. Established himself as an independent governor of Egypt. Abbasid troops are sent against Ahmed because he has failed to send enough tribute to Baghdad. Defeating them, the following year he invades and captures Palestine and Syria. Benefiting from a well-trained army, a stable economy, and an efficient bureaucracy, Khumarawayh is able to achieve further military gains, including the capture of areas of northern Iraq. Unfortunately, his military efforts weaken that stable economy for future rulers. After Khumarawayh's death, the emirs who succeed him are weak and ineffective, allowing their slave-soldiers to take control of the day-to-day running of the emirate. Son. Deposed by the military commanders. Brother. Killed trying to invade the Abbasid caliphate. The Tulunids are weakened by this stage following years of mismanagement of the country. Harun's botched invasion of the Abbasid caliphate has triggered a response. Egypt is invaded and Shayban retreats to Fustat where he surrenders on 10 January 905. The Tulunid dynasty of governors and semi-independent rulers is ended and loyal and obedient Abbasid governors are installed. The Abbasid caliph regained direct control of Egypt with a successful invasion of the weakened Tulunid emirate and the surrender of the last Tulunid emir on 10 January 905. The Abbasids placed loyal governors in the capital to maintain day-to-day control of the country. Again, as with the previous period of Abbasid Governors, details on them seems to be vary sparse. First restored Abbasid governor (wali). Abbasid control of Egypt proves to be short-lived when the country falls under the control of the Mameluke dynasty of Turkic governors who are allowed to rule in a semi-independent manner. Mamelukes (or Mamluks) were originally Turkic soldiers who had been captured in war and recruited into the armies of Islam. They became more important over time simply because they became indispensable in maintaining control. The Mameluke Ikhshidite (or Ikhshidid - Persian for 'prince') emirs began the process of drifting out of Abbasid control again under the Turkic slave soldier, Muhammad ibn Tughj al-Ikhshid, former wali of Syria (896-933). At its greatest extent, the emirate included Palestine and Syria, but then it found itself trying to stop the triumphant Fatimids, ultimately unsuccessfully. Turkic Mameluke slave soldier and governor. Egypt loses control of Syria to the Hamdanids of Aleppo. Vizier and effective ruler following the death of his master. A weakened Egypt is removed from Abbasid control and is ruled by the North African Fatamids following their capture of Cairo. They also gain Damascus. The Fatamids of Tunisia were considered to be descendants of Ali ibn Abi Talib (Rashidun caliph in 656-661) and his wife, Fatima, daughter of the Prophet Muhammed. 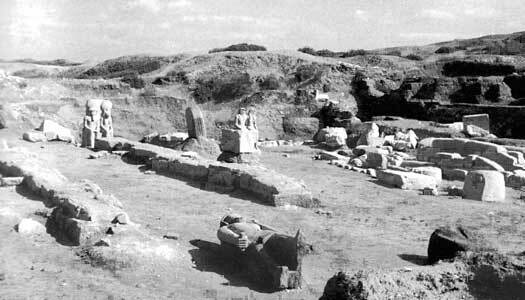 They began their rise to power amongst the Kutama Berbers of eastern Algeria during the Rustamid imam period and soon founded a capital at Mahdia. From there their rise was swift, taking Morocco in 926 and Mameluke Egypt in 969. They retained control of much of North Africa because they were seen as the last unifying force in the Islamic world, but their brutal rule of Egypt soon created conflict. The first of the Fatamid rulers, Al Mahdi Obaidallah, also claimed the title of caliph in direct opposition to the Abbasid caliphs in Baghdad, and Egypt would emerge as their battleground (his caliphate is sometimes shown as carrying his name - the Obeidia dynasty). Fatamid general in Egypt. Viceroy (969-972). Regent (979). In the same year as they capture Egypt, the Fatamids build the beginnings of al Kahira (modern Cairo) to serve as a royal residence. 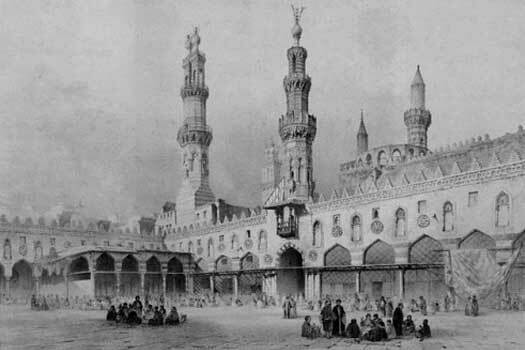 The following year they build the great mosque of Al-Azhar, named after the Prophet Muhammad's daughter, Fatima Al-Zahra'. The Fatamids control Egypt directly, as governors, and also exercise power through their viziers, who are listed in this section. First Fatamid vizier. A Jew who embraced Islam. Ibn Killis is followed by six viziers in as many years during the reign of Caliph Al Aziz. Fatamid vizier. Coptic Christian. Dismissed and later executed. The period of relative stability enjoyed by Damascus since the city's recapture in 977 now comes to an end with the death of Fatamid Caliph al Aziz and the succession of al Hakim. The governor of Damascus, Magu Tegin, is abandoned by his own ally while attempting to enter Egypt in support of Barjawan and his seizure of the post of vizier. Fatamid vizier. Coptic Christian. Assassinated. Fatamid vizier. Seized power and executed by Caliph Al Hakim. During the next short period, and especially during the reign of Caliph Al Hakim, there are more than fifteen viziers or wasitas (another term for the same position). Their powers are limited following the misuse of office by Barjawan, and most apart from Al-Hussain and Ali bin Falah are from the lower classes, not military people. Records detailing them are few in number, but most of them appear to be raised by the changeable caliph only to be executed some days, weeks or months later. Fatamid vizier. Given more limited powers. Son of Isa bin Nasturus. Fatamid vizier. Died naturally. One of Caliph Al Hakim's viziers, a certain Darazi, claims that the caliph is an incarnation of God. To the caliph's Egyptian subjects, this is the last straw. They are shocked by the vizier's announcement and begin to make fun of their slightly mad caliph. The growing dispute between al Hakim and the populace results in the breakout of a rebellion in 1020. The Fatamid caliph sends troops to put down the unrest and even burns the city of al Fustat. Son of Isa bin Nasturus. Fatamid vizier. Executed after 4 months. Fatamid vizier. Hands cut off in 1013 for disloyalty. With the execution of al-Yazuri, factional fighting and disorder follows, with a rapid succession of ineffective viziers, about forty of them, while the Fatamid state undergoes a period of decline, accompanied by the breakdown of civil administration, chaos in the army, and the exhaustion of the public treasury. Desperate to resolve the ongoing situation in Cairo, Fatamid Caliph al Mustansir recalls General Badr al-Jamali, governor of Acre and Palestine (and former of governor of Damascus in 1063). He successfully puts down the various rebel factions, clearing out much of the Turkic presence at the same time. However, the caliphate has been seriously weakened by the revolt. Badr al-Jamali becomes the first military vizier of the caliphate (the 'viziers of the sword', with powers much the same as the magistri militum of the late Western Roman empire, and they dominate the caliphate in much the same way as the late Roman emperors had been dominated). The military viziers become the heads of state in all but name, with the the caliph reduced to the role of figurehead. First Fatamid military vizier. Former governor of Syria & Palestine. Following the death in the same year of Fatamid Caliph al Mustansir and his strong general, Badr al-Jamali, a series of weak caliphs sit on the throne and struggle against their viziers to see who will dominate. The Fatamids are crucially compromised by this internal power struggle. Son. Fatamid military vizier. Murdered. Fatamid military vizier. Crucified in 1128. King Baldwin II of Jerusalem is captured by the Ortoqids in northern Syria. In his absence the kingdom is governed by the constable of Jerusalem, Eustace Grenier, and the Fatamid military vizier, Al-Ma'mum, spies an opportunity to capture the coastal stronghold of Jaffa. Launching his attack from Egypt, Al-Ma'mum's force is intercepted by Crusader troops, at the Battle of Yibneh (or Yibna), close to the Fatamid coastal fortress of Ashkelon (Ascalon). The battle is short and decisive, with the Fatamid fleet also being destroyed by the Venetians, and the Fatamid threat is virtually ended for the next thirty years. After the imprisonment and crucifixion of Al-Ma'mum, Caliph Al Amir does not appoint any further viziers, preferring to run things directly. His death in 1130 allows a new vizier to be appointed, probably that same year by the new caliph, Al Hafiz. Fatamid military vizier. Killed by Caliph Al Hafiz. Armenian. Eldest son of Fatamid Caliph Al Hafiz. Died after 2 months. Brother. Revolted and was put to death by Al Hafiz. Fatamid military vizier under Al Hafiz. 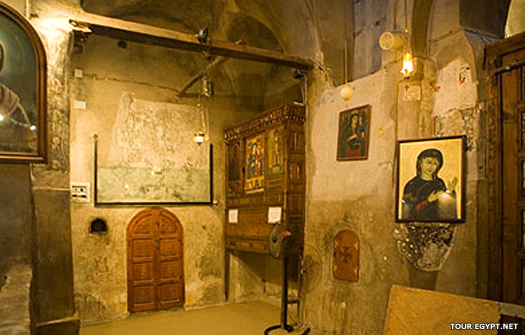 Christian Armenian. Bahram's pro-Armenian policies provoke a military revolt led by Ridwan, the new governor of Gharbiyya. Bahram is forced out of office, and after the failure of his own revolt in Qus, he is granted permission by Caliph al Hafiz to retire to a monastery where he remains until 1139. Then al Hafiz recalls him to al Kahira (Cairo) and entrusts him with the responsibilities of the vizierate, without officially appointing him to the post, until his death in 1140. Fatamid military vizier under Al Hafiz. Removed from office. Killed. Restored Fatamid military vizier under Al Hafiz. Died. Fatamid military vizier. Killed by Al-Adir after about 50 days. The son of an Ortoqid officer in the service of the Fatamids, as governor of Alexandria, Al-Adir assembles his troops and marches on al Kahira (Cairo). He kills the serving military vizier and imposes himself on Caliph Al Zafir as his new vizier. Fatamid military vizier. Murdered by Abbas. Fatamid military vizier. Murdered Caliph Al Zafir. Killed. Fatamid military vizier. Regent to Caliph Al Faiz. Assassinated. Son. Fatamid military vizier. Killed by Shawar. Russik is killed when Shawar revolts and enters al Kahira (Cairo). Shawar assumes the office of vizier, and his new ally, Dirgham, is appointed sahib al-bab (grand chamberlain). Dirgham revolts later in the same year, driving Shawar out of al Kahira. Shawar re-invades Egypt with a force supplied by the Zangid ruler, Mahmud Nur ad-Din, and after several battles Dirgham is defeated and killed. Shawar is restored to his post. Fatamid military vizier. Overthrown by Dirgham. Fatamid military vizier. Killed by Shawar after 9 months. Shortly before this year, the Fatamids agree a deal with King Amalric I of Jerusalem for the price of two hundred thousand gold pieces to protect them from the Sunni Muslims. But this first attempt to capture Egypt ends in a stalemate between Crusaders and Sunnis and both agree to withdraw. Amalric returns and massacres the population of the Nile Delta city of Bilbeis on 3 November 1168. This act unites the Egyptians and their capital undergoes dramatic change as a result. The original Islamic capital of al Fustat is deliberately burned down by its own vizier to prevent it from falling into Crusader hands. 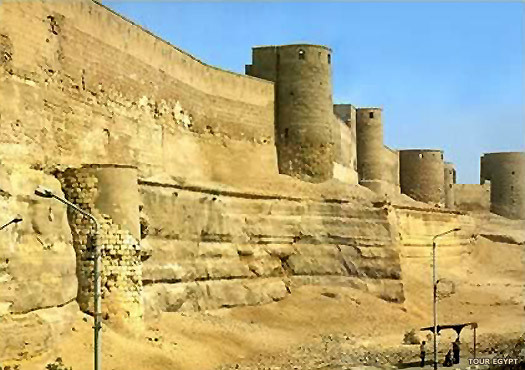 The newer city of al Kahira is protected by walls, and takes over fully as the country's capital. 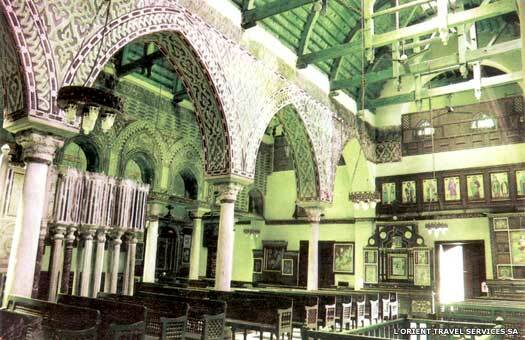 Later known as Cairo it gradually absorbs the remains of Fustat (which now exist as part of Old Cairo). The Crusaders advance to the new city and place it under siege. The formal career of Salah al-Din Yusuf Ibn Ayyub (or Saladin), begins when he serves on the staff of his uncle, Asad ad-Din Shirkuh, the military vizier under Nur ad-Din of Aleppo and Damascus. They are involved in a race with the Crusader kingdom of Jerusalem to conquer Fatamid Egypt. On 2 January 1169, the Crusaders retreat from their siege of the walls of Cairo and evacuate the region, allowing Shirkuh to take control as vizier under the Fatamids. Shirkuh and his nephew found the Ayyubid dynasty in Egypt (although not, at this stage, an independent one). Fatamid military vizier. Founded the Ayyubid dynasty. One of the greatest commanders of the Crusader period, Saladin was the former vizier of Fatamid Egypt. His new domain was also known as the sultanate of Ayyubia and, because he was a Kurd by birth, as the sultanate of Kurdia. After creating himself the first Ayyubid sultan of Egypt, Saladin was able to use the country as his base of operations. From there he was able to occupy Damascus and other Syrian towns, although Egypt remained his headquarters. Then he defeated and drove the Crusaders from Jerusalem, and set up his sons and relatives in several subsidiary lines within Ayyubid territory, in Aleppo, Damascus, Diyar Bakr (taken by the White Sheep in 1402), Hamat, Hims, and Yemen. Most of these were ended by 1260 by the Mamelukes, or they fell to the Mamelukes following the Mongol invasion of Mesopotamia. The line in Hamat was a little more durable, only falling to the Mamelukes in 1332, and the line in Diyar Bakr, with some interruptions, survived until conquest by the White Sheep Turks in the later fifteenth century. Although originally ruling from Egypt, Saladdin spent the last years of his life fighting in Syria and Palestine and was buried in Damascus, next to the Umayyad mosque. The Ayyubid family still survives in modern Lebanon and retains Saladin's sword. Former vizier and now sultan. Also ruled Damascus (1183-1186). The kingdom of Dongola enters a sharp decline, due in part to increased Bedouin attacks after these tribes people have been pushed south by the Ayyubids. Saladin leaves Egypt to fight the Crusaders of Outremer in Syria, never to return to the seat of his authority. The following year he conquers Damascus and Aleppo from Sinjar, although it appears that Sinjar itself retains some level of independent local rule. Damascus is ruled by an Ayyubid relative as a subsidiary state. Saladin attempts to take Mosul in the same year but is unsuccessful. The Crusader kingdom of Jerusalem is defeated by Saladin at the Battle of Hattin. Although the other captured nobles are ransomed, all of the captured Knights Templars and Knights Hospitallers are executed. Thousands of Christian prisoners are marched the four hundred miles back to Cairo, where they are forced to work on extending the city's fortifications and building the Citadel. Saladin then besieges Jerusalem itself, before coming to peace terms with its defenders, and the city is evacuated by the crusader knights. After several raids against the inept al Afdal at Damascus, his brother, al Aziz Uthman, loses patience and allies himself with another brother, az Zahir. Together they attack Damascus and end al Afdal's reign. Their popular uncle, al Adil, gains Damascus in his place. Al-Malik al-Adil I manages to acquire territory between his sultanate in Damascus and in Mesopotamia, before he also overthrows al-Mansur and rules in Egypt too. Brother of Saladin. Ruler of Ayyubid Damascus (1196-1201). The Fourth Crusade witnesses the capture of Constantinople by Crusaders in the employ of Venice, causing the first break in the line of Eastern Roman (Byzantine) emperors. Son. Ruler of Ayyubid Damascus (1238). Sinjar is fully conquered by the Ayyubids, ending whatever independence it might have enjoyed up to this date. The Fifth Crusade hits the region and Jerusalem is ceded to the Christians at Acre while the Ayyubids squabble amongst themselves. For allowing Jerusalem to fall into Christian hands, al-Kamil is vilified by many Muslims, but it brings peace with the Crusaders. From the moment of his accession in 1227, al Nasir II of Damascus has faced opposition from his uncle, al Kamil I. The latter attacks him, taking Jerusalem (before handing it over to the Christians) and Nablus. Appealing to another uncle, al Ashraf, the ruler of Harran, al Nasir is betrayed when both uncles team up. Damascus is besieged between late 1228 and June 1229, when it falls. As agreed, al Kamil takes Palestine and al Ashraf gains Damascus and the north, acknowledging his brother as overlord. Al Nasir is compensated with the emirate of Kerak in the Transjordan. Al Kamil sends his son, the future as Salih II, to Damascus, removing him from the succession in Egypt after suspecting him of conspiracy in alliance with the Mamelukes. His uncle, as Salih Ismail, soon expels him from Damascus, and he flees to the Jazira, where he becomes allied to forces from the former emirate of Khwarazm. Just months after the accession of as Salih of Damascus, al Kamil sends a force to besiege the city. It falls in 1238 and as Salih I is removed from power. Al Kamil governs the district personally before his sudden death. Son. Ruler of Ayyubid Damascus (1238-1239). Overthrown. Brother. Ruler of Ayyubid Damascus (1239, 1245-1249). Murdered. As Salih II Ismail of Damascus is quickly reconciled with an Nasir Dawud after the latter has fallen out with Ayyub. Together they decide to curtail Ayyub's ambition to conquer further Ayyubid territories. In July, Ismail reaches an agreement with Jerusalem so that the Crusaders will protect southern Palestine from Ayyub's possible attacks. The price is high, though, as he is forced to cede all of the land west of the Jordan (won by Saladin in 1187), including Gaza, Jerusalem, and Nablus, along with his own fortresses at Hunin, Safad, and Tiberias. He is denounced throughout the Arab world for his actions. Ayyub allies himself with the former emirate of Khwarazm against Ismail of Damascus. At the Battle of La Forbie, they defeat Ismail and Ayyub is able to reclaim the sultanate for himself. The following year, Ayyub defeats Khwarazm itself for failing to recognise him as its overlord. Son. Ruler of Ayyubid Damascus (1249-1250). Overthrown. Following a siege, Aleppo is captured and destroyed by the Mongols while al-Muazzam is commanding there. Although the defenders are allowed to live, the sultan does not rule again. Instead, Muazzam is overthrown in Egypt by the generals of Salih II following the occupation of Damietta by St Louis IX of France. The act effectively destroys Ayyubid control of Egypt, despite several attempts by an Nasir II to recover it from Damascus. Widow of Najm ad Din. Seized the throne. Nominally until 1254 but no effective power in Egypt. In 1250, Shajar ad Durr seizes the sultanate with the support of her Mameluke slave-soldiers, led by Aybak. Eighty days later, she marries Aybak in order to secure the full support of her subjects, before abdicating in her husband's favour, passing all control of the sultanate over to him. Al-Ashraf II serves as a figurehead for a short time. The Ayyubids survive in Damascus, but only briefly. Following that loss, only the principality of Hamat remains in Ayyubid hands (until 1341). The sultanate of Egypt was effectively seized from the Ayyubids by the Mameluke slave-soldier, Aybak. His marriage to Shajar ad Durr and her subsequent abdication gave him sole control over Egypt - albeit for just seven years. 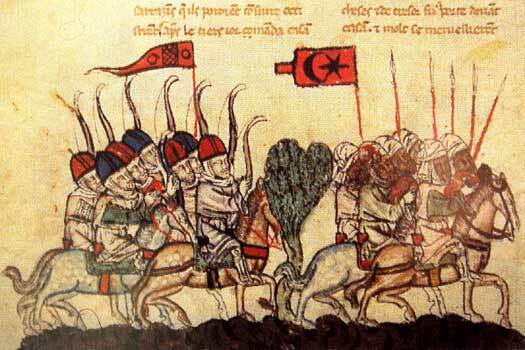 With the destruction of the Abbasid caliphate at Baghdad in 1258, a puppet caliphate was set up at Cairo, controlled by these Mameluke Bahris (or Bahriyya). They were descended from Kipchak Turkish tribes which invaded the Middle East in two major waves in the eleventh and twelfth centuries. Some of them were taken into service by Egypt and were called 'mameluke' or 'mamluk', meaning 'owned man' or 'slave'. One group of these mamelukes were called Bahri because these soldiers were initially housed in a castle on the island of Roda on the Nile, called bahr ('sea') in Egypt. First of the (usually) Turkish Bahris. Assassinated. Sultan an Nasir II Yusuf of Damascus attacks Egypt with a superior army, made up of units from Aleppo, Hama, and Homs, and elements of the personal forces of Saladin's two surviving sons. Despite numerical superiority, the Syrian force suffers a shock defeat at the hands of the Mameluke Bahris, and Yusuf is forced to return to Damascus to retain control of Syria. So begins a decade of warfare and political manoeuvring which achieves no advantage for either side. Al Ashraf II, the last of the Ayyubid sultans, is removed from his position as figurehead, and Aybak takes full control. Vice-sultan. Seized the throne in 1259. Al Mansur, himself a figurehead, is deposed in a coup which is led by the Mameluke strongman, Qutuz. The latter does not last long before he too is overthrown by the former Syrian Mameluke who himself left there following a disagreement with the sultan of Damascus, after the latter had refused to countenance his planned invasion of Egypt. A Mongol army marches on Aleppo and it quickly falls (within a week). This time, most of the inhabitants are killed or sold into slavery and the Great Mosque and the defensive Citadel are razed. When the army arrives at Damascus the city surrenders immediately as Yusuf has already fled to Gaza. Samaria is captured, with the garrison of Nablus being put to the sword, and Gaza is taken. Yusuf is captured and killed while a prisoner, but Baybars sends a Mameluke army which inflicts a defeat on the Mongols at the Battle of Ain Jalut. Damascus is freed five days later and within a month most of Syria is in Baybars' hands. Baybars sets up the Abbasid caliphate at Cairo, following its destruction in Baghdad. The caliphs are little more than his puppets, although they do still hold some semblance of spiritual authority. The first of them, Abdul Qasim Mustansar, co-finances a swift retaliatory attack against the Mongols, and he apparently heads the attack himself alongside General Malik Zahir (Baybars' deputy ruler). Unfortunately he is either killed in battle or lost during the chaos when Egypt's forces are repulsed. The only other survivor of the Baghdad massacre of 1258, Abul Abbas Hakim, is recalled from his place of refuge in Halab. Sultan Baybars mobilises a large army of his highly professional troops to counter an expected thrust by the Mongols. That attack never comes so, never one to waste a good war, Baybars turns his attention to the kingdom of Jerusalem. However, weak as they are, the Crusaders still have their powerful line of forts and their holy military orders. Baybars deploys the full force of his Mameluke military machine in front of the fearsome castle of Arsuf, a little way to the south of Caesarea, and it takes three days of hard fighting for the castle to fall. The surviving defenders are paraded through the streets of Cairo with a cross around their necks, and the castle is demolished so that it can never again be used by the Crusaders. Baybars continues his campaigns against the Christian kingdoms, three years after destroying Jerusalem's castle at Arsuf. Antioch, the first major conquest made by the First Crusade in 1099, now falls to Baybars in just a day. Once his troops have access, the city's gates are barred from within so that no one may escape, and the Christian population is massacred. The message is clear. The Crusaders will not be returning to Antioch. Unable to take the greatest of the Crusader fortresses by force, Baybars uses negotiation with the Knights Hospitallers to recover the Krak de Chevaliers after 162 years of Christian occupation. A Mameluke army under the command of Malik Zahir is claimed to conquer Sudan. This is an uncertain time for Sudan, with few records to back up any such claim, but King David II of the Sudanese kingdom of Dongola is indeed forced to flee a Mameluke attack. Whether this attack is a definitive conquest is much harder to say, but it is viewed by Arab sources as a great victory. Brother. Sent into exile at Constantinople for being a child ruler. Kipchak Turk and father-in-law to Baraka. Sunkur al-Ashkar leads a rebellion from Damascus against Sultan Qalawun al Alfi. The sultan defeats it but the following year is faced with a Mongol invasion of the region through Homs under the leadership of Abaqa Khan of the Il-Khan dynasty in Persia. Fortunately the threat is overcome after the bloody Second Battle of Homs produces no clear outcome. Following a siege by Qalawun al Alfi, the Crusader county of Tripoli falls. Al-Ashraf Khalîl completes his father's work in taking the Crusader stronghold of Acre. Its fall signals the end of Outremer. Became new vice-sultan to Muhammad I. Son of Qalawun al Alfi. Aged 9 at accession. Deposed. Regent and the true power in Egypt. Not content with being regent to the nine year-old sultan, Zayn-ad-Din Kitbugha counters an attempt to remove him from office by deposing the sultan and seizing the throne for himself. Former regent. Deposed by his vice-sultan. Sultanate imposed on him. Stepped down in favour of Muhammad. Now fully secure on his throne, Muhammad institutes sweeping changes and reforms in order to expel those who had conspired or sided against him and to wipe out corruption. 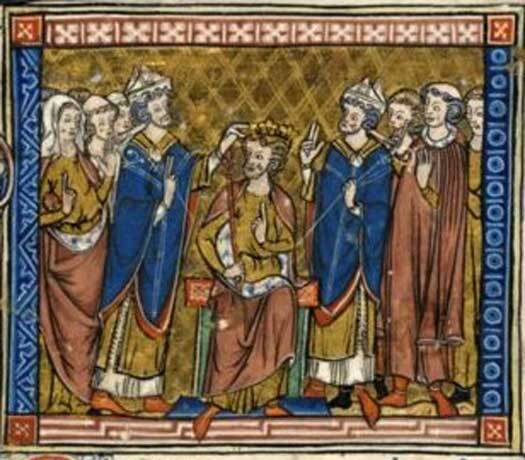 In 1314 he abolishes the post of vice-sultan and increases aggression against the Dongola kingdom, forcing its collapse. Egypt's interference also sees Arabic speech and religion gradually seep into Nubia over the course of the century, and Alodia also fades and collapses around the same time. This decline is largely undocumented, but the former state appears to split into as many as nine separate regions or petty kingdoms (according to reports by Mameluke emissaries). The death of Al-Nasir Muhammad leads to instability within the sultanate. There is a constant stream of successors over the following fifty years, with fifteen holders of the sultanate and none of them lasting more than fourteen years (and that one, Al-Ashraf Shaban II, being something of a long-lasting exception). Disorder descends on the provinces. The Black Death comes to Egypt and the Levant causing great loss of life and further weakening Egypt's empire. The position of the sultans becomes increasingly fragile, and it is competing Mameluke factions who begin to wield increasing power from behind the throne. Grandson of Al-Nasir Muhammad I.
Al-Ashraf Shaban II, who has ruled independently as an adult since 1366, is overthrown and killed. The rebellious Mamelukes who are responsible for the deed replace him with his seven year-old son. When the boy dies at the age of twelve, he is replaced by his younger brother. Brother. A minor, and another puppet. Dehtroned. Around this time Emperor Dawit I of Ethiopia raids into Egypt as far as Aswan before being persuaded to return home by the Christian patriarch of Alexandria. Egypt's continuing destabilisation is only worsened by this incident, and in the same year Al-Salih Hajji II is dethroned. Control of the sultanate is secured by Barquq, a Circassian general, or emir, who has been consolidating his growing power since the coup of 1377. He attempts to secure his position as sultan by placing many of his own family in positions of authority. First of the (usually) Circassian Burjis. Two Mameluke governors rebel in Egypt's empire: Mintash, governor of Malatya, and Yalbogha al-Nasiri, governor of Aleppo. They secure Syria and march on Cairo. Barquq attempts to escape, but he is captured and sent to al-Karak. The successful governors restore Hajji to the throne, who now assumes the reignal name of al-Mansur. Hajji's position is far from stable, and when fighting develops amongst the Mameluke factions in Cairo, Barquq's supporters overcome the others and Barquq is able to return to Cairo in February 1390. The Burji dynasty is born. The Burjis were of Circassian descent, but once they had dethroned the ruling Bahri sultans and secured their own position, they endured a stormy relationship with power. The reignal lengths for each sultan were often short, plagued by behind-the-scenes politicking and power-plays. The dynasty's founder, Barquq, also made an enemy of the powerful ruler of Persia, Timur, which cost him a great deal of time and effort in needless warfare in Syria. In the end, the lack of Burji unity cost them, because they were unable to match the increasingly powerful Ottomans in securing territory. The Burji sultans followed the artistic traditions that has been established by their Bahri predecessors. Although the state was faced with its greatest external and internal threats in the early fifteenth century, including the devastation of the eastern Mediterranean provinces by Timur, as well as famine, plague, and civil strife in Egypt, the patronage of art and architecture resumed. Mameluke textiles and carpets were prized in international trade. In architecture, endowed public and pious foundations continued to be favoured. Restored. Secured throne as founder of the dynasty. Died. Nasir-ad-Din Faraj is accompanied by Abbasid Caliph al Mustain Billah on his campaign against the rebellious amirs (governors) of Aleppo and Tripoli. Faraj is defeated, perhaps unexpectedly, at Lajjun on 25 April 1412 and the sultanate is plunged into a leadership crisis. Caliph al Mustain is captured by the rebels and, after a great deal of discussion about who should be proclaimed sultan in Faraj's place, they chose Caliph al Mustain himself. Faraj is formally deposed, and al Mustain takes his place on the understanding that he remains caliph if he is deposed as sultan. Current Abbasid caliph (1406-1414). Ruled for 6 months. Nawruz al-Hafizi receives the Syrian provinces and al Mustain returns to Egypt with two prominent nobles, Shaykh al-Mahmudi and Baktamur Djillik. Shaykh immediately begins to isolate the sultan and, when Baktamur Djillik dies on 15 September, Shaykh is able to put his plans of usurpation into action. He has himself recognised as sultan on 6 November 1412, assuming the title of al-Mu'ayyad Sayf-ad-Din Tatar I. With some time for reflection, al Mustain formally abdicates and is held in the citadel until he is also deposed as caliph by Shaykh, on 9 March 1414, and replaced by his brother, al Mutadid II. Egypt is attacked by the kingdom of Cyprus. Unable to capture the island, Egypt nevertheless forces the Cypriots to acknowledge the overlordship of Sultan Barsbay. Resigned due to illness, which killed him. Abbasid puppet caliph, al Qaim, supports a Mameluke mutiny against Sultan Inal. The mutiny is quickly put down and al Qaim is removed from office. Abdicated in favour of his son. 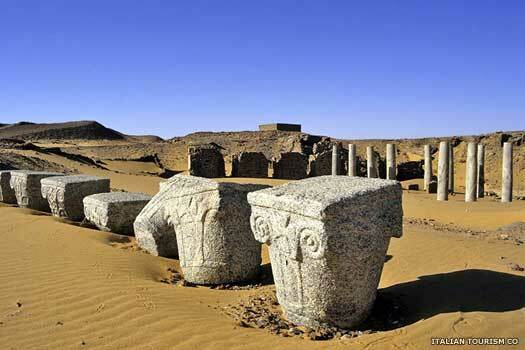 During this period, following the capture of the Nubian kingdom of Alodia by Abdullah Jamma and the founding of his Abdallab empire, Nubia is entirely Islamicised. By 1504, no Christian kingdoms exist in the region. The Ottoman sultan begins a war against Egypt which ultimately sees the latter conquered. Sultan Qansawh II al Ghawri is killed on 24 August 1516 at the Battle of Merj Dabik. Syria is immediately captured. Captured by the Ottomans and executed. 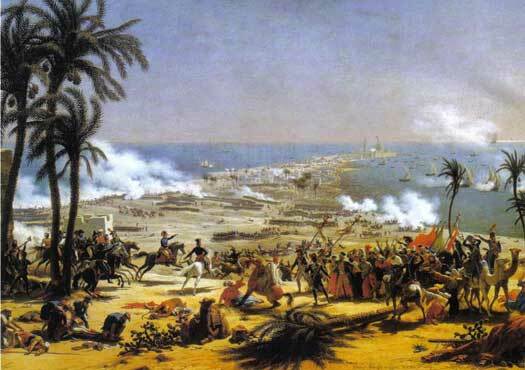 Mameluke Egypt, Libya, and Syria (an Egyptian Mameluke possession) are conquered. The Mamelukes continue to hold some control as vassals, under the overview of Ottoman Governors, while the puppet Abbasid caliph, al Mutawakkil III, is transported to Constantinople by Ottoman Sultan Selim I Yavuz. The sultan is later credited with assuming the caliphate himself, while some sources state that he is named as Caliph al Mutawakkil's heir apparent, probably with the caliph having very little choice in the matter. Following their defeat by Sultan Selim I, the Burji Mamelukes still retained some control of Egypt as its ruling class, although they were now vassals of the Ottomans. The real day-to-day power was wielded by the Ottoman-appointed governors, or walis. Khair Bey was the first, created sultan of Egypt by Selim I for his help in conquering the country, and all subsequent governors also held this title, despite being subservient to the Ottoman sultan (at least in name). To the south of Egypt, the Funj sultanate of Sinnar skilfully negotiated its way out of further Ottoman conquest, securing its own borders in the process. Governor of Egypt. Died 1552. Following the death of Ottoman Sultan Selim I and the accession of his successor, Suleyman I the Magnificent, Governor Djanbirdi al-Ghazali of Damascus rebels. He seeks to restore Mameluke suzerainty over Syria and goes so far as to declare himself sultan. Hama, Hims, and Tripoli join his rebellion, but both Khair Bey and Shah Esmail of Iran refuse to support him. Eventually, the Ottomans destroy both him and his army. Promoted to a position in Ottoman Constantinople. Became Ottoman grand vizier in 1632. Led an impartial and prosperous administration. Khalil Pasha sends out an expeditionary force to the Hejaz to retake Mecca from Yemani tribesmen. Under Al-Mu'ayyad Muhammad, the Yemenis are fighting the Ottomans to create an independent Zaidi state in Yemen. Son-in-law of Ottoman Sultan Mustafa II. Second term of office. Became Ottoman Grand Vizier. Deposed by Ali Bey of the restored Mamelukes. Appointed, but probably did not take up post. The Mameluke beys seize power in Egypt and thereafter their successors remain de facto rulers of the country. The Mamelukes had once been mighty in Egypt, Libya, and Syria (an Egyptian Mameluke possession) before losing them all to the Ottomans in 1517. The Mamelukes continued to hold some control as vassals, under the overview of Ottoman Governors, while the puppet Abbasid caliph, al Mutawakkil III, was transported to Constantinople by Ottoman Sultan Selim I Yavuz. The sultan was later credited with assuming the caliphate himself, while some sources state that he was named as Caliph al Mutawakkil's heir apparent, probably with the caliph having very little choice in the matter. By 1768 the Mamelukes had long been vassals of the Ottomans, with their governors wielding the true power. But then the tables were turned by Ali Bey and the Mameluke beys seized back power in Egypt. 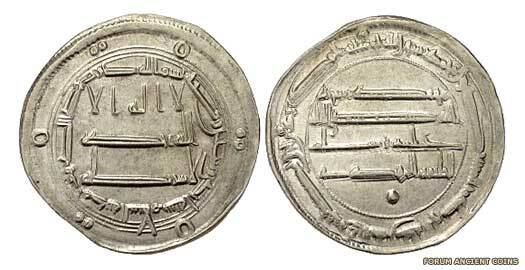 Ali Bey al-Kabir deposed the Ottoman governor, stopped paying tribute to the sultan, and had his own name stamped on coins. He even managed to seize Syria, albeit briefly. Thereafter his successors remained de facto rulers of the country, although they would always be opposed by the Ottoman walis who would continue to be appointed by the Ottomans. 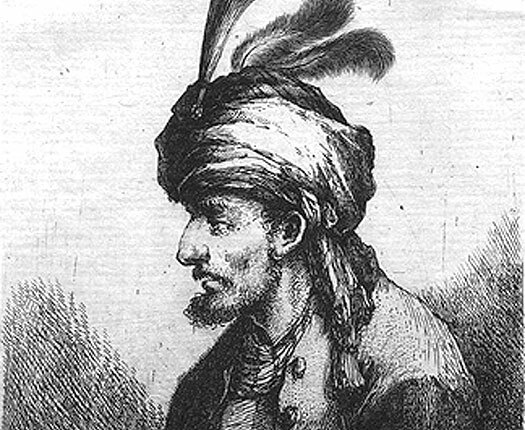 Ali Bey himself was born an Abkhazian Georgian. Having been kidnapped and brought to Cairo in 1743 he was sold as a slave into the Mameluke ranks. By 1762 he occupied a senior position and was able to start agitating towards a restoration of Mameluke power. The Ottoman governor, Raquim Mehmed Pasha was deposed in 1768 and Ali Bey assumed the position of acting governor (kaymakam) in his place. His successors occupied the same position, despite refusing to accept the authority of the official Ottoman governor. Son of a Georgian monk. Deposed Ottomans. Killed in 1773. Ali Bey deposes the Ottoman governor and assumes full control of Egypt. 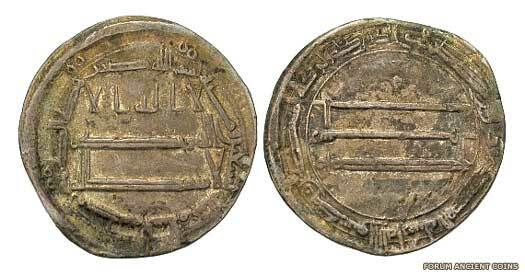 The payment of annual tribute is stopped and, in 1769, Ali Bey has his name struck on coins. This is the equivalent of publicly proclaiming Egypt's independence from the empire. The following year he gains control of the Hijaz and in 1771 briefly occupies Syria having defeated the governor there, Uthman Pasha al-Kurzi. In effect he has recreated the former Mameluke state. The Ottomans have become alarmed at Ali Bey's victories and have deliberately stirred up mistrust of him. In June 1771, Abu'dh Dhahab, the commander of Ali Bey's troops in Syria, refuses to continue to fight against the Ottomans. 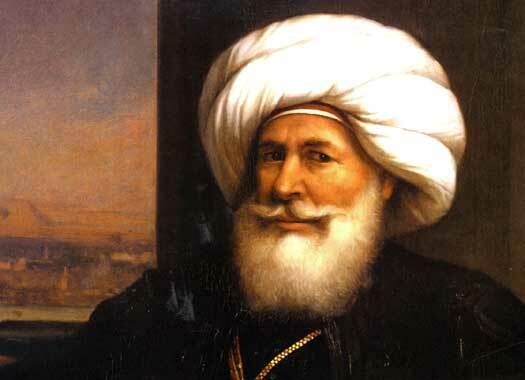 When he turns on Ali Bey in 1772, the latter is removed from power to be replaced by Abu'dh Dhahab himself. Ali Bey is killed in Cairo in 1773, although the assertion that he retains the governor's office in an unbroken fashion between 1768-1772 is disputed. Leader of Hawwara Arabs and de facto ruler in Upper Egypt. Ali Bey's usurper general. Died 1775. 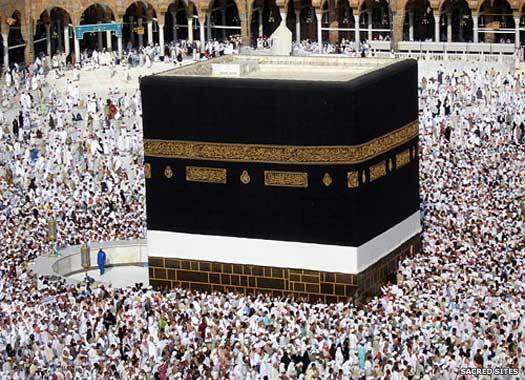 A triumvirate is formed between Murad Bey, the military governor, Ibrahim Bey, the civilian governor, and Yusuf Bey, the head of the Mecca pilgrims. Together they control Egypt even in the face of the appointment in this year, 1775, of Izzet Mehmed Pasha as the Ottoman governor of Egypt. In 1777, Izzet Mehmed Pasha is ordered to step down in favour of Isma'il Bey, although it takes him until 1778 to obey that order. Supported by the Ottoman sultan. Sole ruler. Military governor and now joint ruler. Restored in 1790. Civilian governor and co-ruler. Restored in 1790. Murad Bey and Ibrahim Bey have governed for almost a decade despite the Ottomans continuing to insist that their official governor is obeyed. They have already spent a proportion of their time suppressing Ottoman-inspired attempts at unrest and insubordination but, in 1786, they are driven out of Cairo by an Ottoman general named Kapudan Pasha. A new Ottoman triumvirate is formed to govern the state which consists of Isma'il Bey (military governor), 'Ali Bey Defterdar, and Hasan Bey. The return of Murad Bey and Ibrahim Bey in 1790 deposes the triumvirate. Restored to replace the triumvirate. Ousted in 1798. Co-ruler. Restored to replace the triumvirate. Ousted in 1798. Republican France invades Egypt under the leadership of Napoleon Bonaparte, in the hopes of creating a corridor to Britain's possessions in India. His battles against the Mamelukes fatally weakens them, and temporarily drives them into Upper Egypt. After winning the Battle of Shubra Khit on 13 July 1798 and the Battle of the Pyramids on 21 July 1798, Napoleon immediately sets off for Syria, which he attacks between February and June 1799. Agreed peace terms with the French but died of bubonic plague. Restored under British protection but replaced by Elfi Bey. Ottoman wali in opposition to the Mamelukes. The French are driven out of Egypt by the British. The Mamelukes and the Ottoman walis continue a guerrilla fight for independence, now against Britain and the Ottoman sultans. The British pull out in 1803, focussed on holding India and opposing Napoleon's power in Europe. The walis continue to oppose the remaining kaymakams (acting governors) in Egypt. With the latter having suffered casualties during the French invasion, they are easier to manage now and Kucuk Hussein Pasha is able to secure his hold on power in Egypt as the official Ottoman representative. Ottoman wali, the first to fully govern Egypt since 1768. Kaymakam in opposition to the walis. Ottoman wali. Deposed by the Albanian mercenaries. Ottoman kaymakam and Albanian commander. Beheaded. Khurshid Pasha had been appointed mayor of Alexandria after the French evacuation in 1801, and now he is named wali (governor). With the help of Britain's diplomatic representative, he begins attempts to remove Muhammad Ali, the new commander of the Albanian troops (after Taher Pasha's death) who are becoming a serious threat to the authority of the wali. Ottoman wali and Mameluke commander. Ottoman wali for the second time. Forced out of office. Khurshid Pasha introduces Delhi (madmen) troops from Syria in an attempt to reduce the influence of Muhammad Ali. Ali wins them over to his side and has himself named governor of Egypt in May 1805. Khurshid is forced to abandon his post and Ottoman Egypt is effectively under the control of Ali, with the weakened Mamelukes unable to exploit the situation. Instead, a treaty is negotiated in 1806 after several Mameluke defeats of Ottoman troops. Muhammad Ali is supposed to be removed and Egypt commanded entirely by the Mamelukes, but again, Mameluke weaknesses prevent this from happening. Ottoman wali. Became Khedive of Egypt. After arranging a coup on 1 March in which most of the leading Mamelukes are murdered, Pasha Muhammad Ali takes full control of Egypt. Surviving Mamelukes flee southwards, entering Nubia, where they set up a slaving centre at Dongola within the Funj sultanate of Sinnar. Muhammad Ali seized a weakened Egypt from the Mameluke sultans by tricking them into attending a celebration of the declaration of war against the Wahhabis of Arabia. Once there, most of them were murdered. A general massacre of Mamelukes throughout the country followed. Muhammad Ali's position as wali, or Governor, became hereditary, and his descendants ruled Egypt thereafter, albeit under the nominal authority of the Ottoman empire at first. Despite this they continued to increase their power, becoming viceroys in 1867, sultans in 1914, and kings in 1922. In fact, so weak was Ottoman authority that Muhammad Ali himself ruled in almost complete independence, styling himself khedive (viceroy) of Egypt. In rather more ordinary circumstances, Muhammad Ali was born in Kavala in Macedonia, the second son of an Albanian family which originated from Korçë in Albania. His father was a tobacco and shipping merchant named Ibrahim Agha, who also served as the Ottoman commander of a small unit in Kavala. As a young man, Muhammad Ali showed promise as a tax collector, and was promoted to second-in-command of the Kavala Volunteer Contingent of Albanian mercenaries which was sent to re-occupy Egypt following General Napoleon Bonaparte's withdrawal. 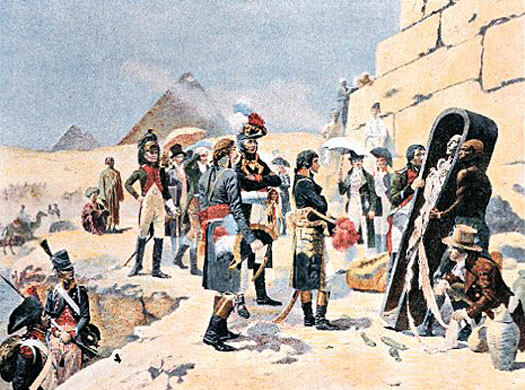 The expedition landed at Aboukir Bay in spring 1801, and it took Muhammad Ali very little time to recognise the fact that Egypt was there for the taking. Ottoman governor of Egypt from 1805. Khedive (viceroy). Upon the request of the Ottoman sultan, Muhammad Ali occupies Arabia to crush the growing Saudi power there and retake Makkah and Madinah in the Hijaz. He does so in a merciless campaign which ends with the siege of Diriyya. Arabia is temporarily occupied by the pasha's forces. However, the garrisons in Arabia are unable to prevent the rise of a new Saudi state. Ismail, son of Muhammad Ali, is sent to conquer Sudan, which he does in relatively short order, destroying the Funj sultanate of Sinnar in the process. 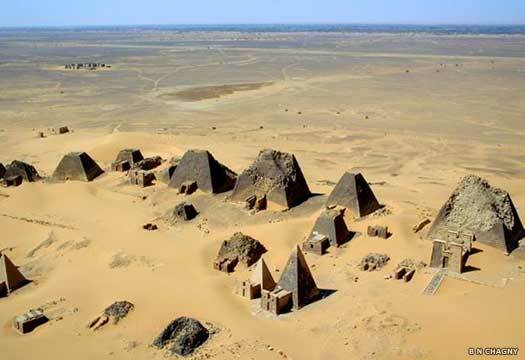 He retains initial supreme command of the conquered Sudan before making way for subsequent military commanders. A governor-generalship is eventually established in order to control the country in Egypt's name. Ordered by the Ottoman empire to send a fleet to Greece to put a stop to the efforts being made for independence there, Muhammad Ali's troops secure most of the country in 1825. A fleet of ships made up of Russians, French, and British arrives and sinks the Egyptian fleet at the Battle of Navarino in 1827, ending Egyptian participation in the war. Damascus is annexed by Ibrahim Pasha between May and June on behalf of Muhammad Ali Pasha, and subsequently operates on an autonomous basis. The Ottomans retain only nominal suzerainty in the region. Muhammad Ali re-occupies Arabia, transporting the head of the al-Saud family to Cairo and installing a vassal ruler. However, in 1843 the Saudi are able to re-establish their own independent power. Age has taken its toll on Muhammad Ali Pasha. However, his son Ibrahim is also declining, having suffered from increasing rheumatic pains and tuberculosis. 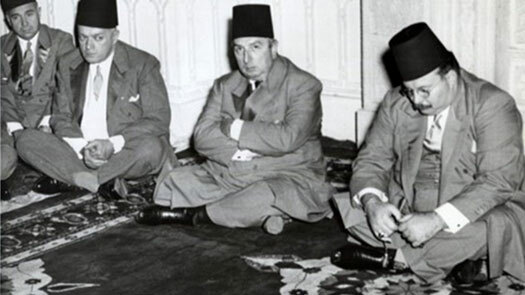 Muhammad Ali has already secured the agreement of the Ottoman sultan that his family will continue to rule Egypt as his successors, but by now he is too weak and debilitated to govern in his own right. The terminally-ill Ibrahim takes over and lasts a further four months before predeceasing his father. Muhammad Ali is too ill himself to be told of the death. Ibrahim is succeeded by his nephew, Abbas, and Muhammad Ali lingers only a few months more before dying. Son. Governed in his father's name. Predeceased his father. Nephew. An unpopular ruler. Murdered. Son of Muhammad Ali Pasha. 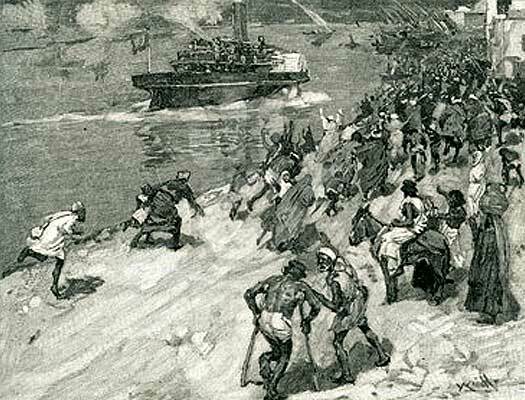 Construction on the Suez Canal is started by the British who already have a substantial presence in the country. They had been one of the few external powers allowed in Egypt during the reign of Abbas I, completing the Alexandria-to-Cairo railway in that time. Nephew. Khedive (viceroy) 1867-1879. Removed. Died 1895. The Suez Canal is opened, greatly increasing the economic and strategic importance both of Egypt and Sudan. Britain buys the khedive's share in the canal in 1875 (official recognition of the elevation from wali to khedive had been recognised by the Ottoman sultan in 1867). Isma'il conquers South Sudan between 1872-1874. The eventual intent is to fully unite Egypt and Sudan as one single state under Egyptian rule. However, a further annexation of 1875 leads to a state of (largely inactive) war with Ethiopia. The Egyptians are defeated and driven back in the first two battles, Gundet in 1875 and Gura in 1876, after which actual hostilities cease. Son. Khedive. Used to replace his uncooperative father. The Sudanese revolt under the leadership of the Mahdi against the Egyptian administration under Tawfiq. In the following year Tawfiq appeals for help to the increasingly dominant British presence in the country, and they take the opportunity to effectively occupy Egypt in 1882. Tawfiq now rules under the 'guidance' of the British special commissioner. The Sudanese Khalifa's general, Abd ar Rahman an Nujumi, attempts an invasion of Egypt, but Egyptian troops under British command defeat him in battle at Tushkah in 1889. The failure of the invasion destroys the myth of the general's invincibility and several subsequent defeats are inflicted on Sudanese forces. The British appoint Major-General Sir Horatio Herbert Kitchener to lead an expedition from Egypt into Sudan in order to quell the Mahdi's uprising once and for all, secure the Nile, and prevent other European forces from making their own claims on the war-torn country. His campaign culminates in the Battle of Omdurman on 2 September 1898 in which the Mahdists are defeated by European firepower and organisation. Following the 1898 defeat of Sudan, an agreement is reached which establishes Anglo-Egyptian rule there. Sudan is run by a governor-general who is appointed by Egypt with British consent. With the Ottoman sultan siding with Germany and Austria-Hungary at the start of the First World War, Khedive Abbas Pasha II is removed from office by the British and the country becomes a British protectorate. This act severs the four hundred year-old link between the Ottomans and Egypt and introduces a period of Anglo-Egyptian closeness in its place. The pro-British uncle of Abbas, Husayn Kamil, is chosen as the country's next head of state, but as Egypt no longer looks to the Ottomans for guidance, Husayn becomes a sultan in his own right. He and successive sultans continue to press for a united Egypt and Sudan, which has long been one of their major aims, but their attempts to increase their power are continually blocked by Britain. Uncle. First sultan of Egypt as an independent entity. Brother. Sultan (1917-1922). King in 1922. Son. Deposed by military coup. Exiled to Switzerland. Died 1965. A group of army officers known as the 'Free Officers' overthrow King Farouk. They declare Egypt a republic during the Egyptian Revolution, led by Muhammad Naguib and Gamal Nasser, the first presidents of the republic. The king is forced to officially abdicate in favour of his infant son and then accept exile. Son. Deposed and exiled to Switzerland. Retained claim. The pretence of retaining the young King Fuad II on the throne in order to remove a pretext of intervention by Britain is no longer needed. Parliamentary rule is instigated, and the country is headed by a president who remains a senior member of the military. With its focus always being along the route of the Nile, for the most part the modern Arab Republic of Egypt retains its ancient borders. It is bordered to the west by Libya, to the south by Sudan, and on the east by Saudi Arabia, Jordan, and Israel (along with the occupied Palestinian territory of Gaza). The capital is at Cairo, the country's largest city, with the ancient city of Memphis and the pyramids of Giza lying very close by. Egypt boasts one of the world's oldest civilisations. With the Sahara Desert abruptly increasing in area around 4000 BC, there was an influx of people towards the Nile and a substantial population increase. This generated great and very sudden advances in craftsmanship and technology which culminated in the working of copper, stone mace heads, and ceramics. The first ancient Egyptian walled towns appeared at Naqada and Heirakonpolis (circa 3300 BC), and one of the first kings of this pre-dynastic Egypt united the whole Nile valley as a single kingdom around 3400 or 3100 BC. Following almost unbroken indigenous rule for about two and-a-half millennia, Egypt was governed by outsiders - notably the Persians, the Greek Ptolemies, and then the Roman empire. Egypt remained a Roman province for approximately six and-a-half centuries, until the weakening Eastern Roman empire lost control to the Islamic empire when the latter's fervently enthusiastic forces swept through in AD 639-640. For the next century the region was governed directly by the Umayyad caliphate to the east, restoring a situation that had existed periodically between the rise of the Assyrian empire until the division of Alexander the Great's empire. 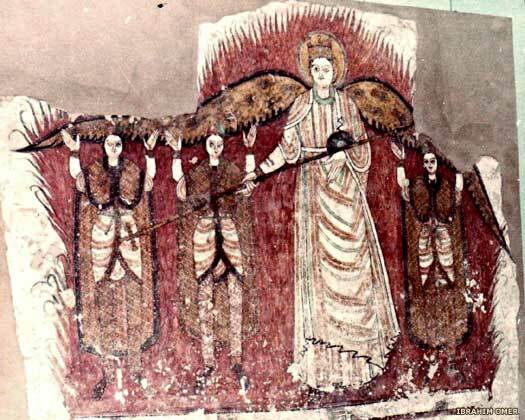 Gradually, most Egyptians converted from Christianity to Islam and learned to speak Arabic (the remaining Christians becoming known as Copts), and a new capital was established in the north (modern Cairo). Gradual fragmentation of Islamic rule resulted in Egypt once again becoming the master of its own destiny, although the Islamic countries generally started to fall behind the energetic European states in terms of mastery of the world. The Egyptian Revolution of 1952 overthrew the king (its initial aim) and eventually abolished the monarchy, replacing it with a republic. The monarchy had been seen to be corrupt (a common complaint in the region at this time) and pro-British, but the replacement was a series of military generals ruling the country. They assumed power without free and fair elections and made sure that opinion polls and future elections were always heavily balanced in their favour. With the formation of the republic in 1954, the last ruler of the house of Muhammad Ali, the infant Fuad II, was no longer required and was brought to Switzerland to live with his similarly-exiled father. He retained his claim to the joint throne of Egypt and Sudan, and successive claimants to the throne are shown below with a shaded background. Military president and leader of the Egyptian Revolution. The pretence of retaining the young King Faud II of the house of Muhammad Ali on the throne in order to remove a pretext of intervention by Britain is no longer needed. Parliamentary rule is instigated, and the republic of Egypt is headed by a president who remains a senior member of the military. 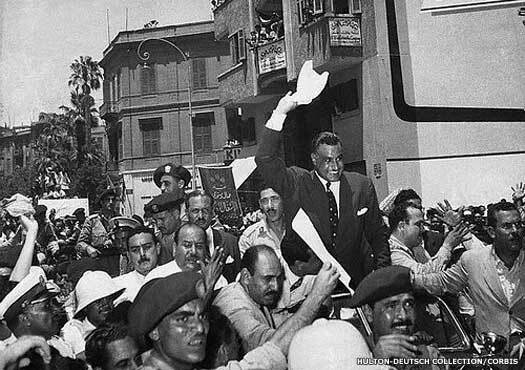 The first president, Naguib, is quickly sidelined, and Gamal Nasser takes over in 1954 as chairman of the Revolutionary Command Council. In 1956 he becomes president. Last king of the house of Muhammad Ali in Egypt. Exiled. Born 1918. A military president. 'Leader of the Arabs'. Sudan gains independence from Egypt, but just two years later General Abbud leads a military coup against the civilian government that is elected that year. In the same year, Israel occupies the Sinai peninsula as part of its efforts against Egypt in the Suez Crisis. While its objectives are achieved as part of an agreement with France and Britain, Israel is pressured into withdrawing by the United Nations and even more especially by the USA, which fails to support any of its allies in this affair. Syria and Egypt agree upon the creation of the United Arab Republic, whereby the two countries merge. The agreement lasts until a coup in Syria causes it to secede. Born 1918. Military officer and dictator. Assassinated. Under the leadership of yet another military leader - Anwar El Sadat - the United Arab Republic of Egypt is re-titled the Arab Republic of Egypt, a name which it retains today. Following a round-up of Islamists who are opposed to his signing of the Egypt-Israel Peace Treaty, Anwar Sadat is assassinated by an undiscovered unit of Jihadists within the military. The wounded Vice-President Muhammad Hosni Mubarak (in the post since 1975) is hustled away from the scene of the shooting by security guards and becomes president while still a member of the military. He remains in the post indefinitely, unelected. Born 1928. Air Force officer and dictator in all but name. The First Gulf War is triggered when Kuwait is occupied by Iraq. A United Nations coalition army is assembled in Saudi Arabia under the control of the USA to force them out, and Egyptian soldiers are some of the first to land in Saudi Arabia to show Arab support for Kuwait. During a wave of popular protests against his dictatorial rule which start in January, Mubarak announces he will not seek 're-election' in September. The protests are triggered by a similar wave of action in Tunisia which ousts a deeply unpopular government there. Protests are also subsequently triggered in Bahrain, Libya, Morocco, Syria and Yemen. By 11 February, the pressure for Mubarak to resign is too strong to resist, and he steps down, handing power to the higher military council of the armed forces which is headed by the defence minister, Hussein Tantawi. During the uprising, little thought is given to a restoration of the Egyptian monarchy. The exiled King Ahmad Fuad II himself lives in Switzerland following marriage, the birth of his three children, and divorce in Paris. His son and heir, Prince Muhammed Ali, remains in Paris where he works in the property market. Military chief of the higher military council. Removed in 2012. Cairo's Tahrir Square witnesses violence in November as security forces clash with protesters who have been accusing the military of trying to keep their grip on power. In December a new national unity government is headed by Prime Minister Kamal al-Ganzouri. In January 2012 Islamist parties emerge as the victors of drawn-out parliamentary elections. Egypt now has a democratically-elected president as its head of state - its first since independence - but he is Mohammed Morsi of the highly controversial Muslim Brotherhood. One of his first acts is to remove Tantawi from his post as defence minister. Morsi's hold on power is brief and divisive. Popular street protests against the hardline Islamist leader have been met with violence from security forces and political strife in the country has steadily been increasing. In July 2013 the army has finally had enough. Morsi is removed from office amid mass public demonstrations for him to quit (and is later imprisoned for twenty years). In December the Muslim Brotherhood is declared to be a terrorist organisation following a bomb blast in Mansoura which kills twelve people. Former army chief Abdul Fattah al-Sisi wins the presidential elections in May 2014. Son of Ahmad Fuad II and heir. Born 1979.